It was one year ago today that the stimulus bill was signed into law. 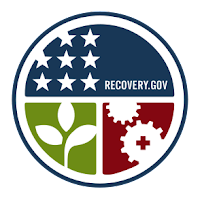 Those interested in what Nevada has done with the money should check out its entry on Recovery.gov. Here are some of the more interesting items. Nevada has received 736 awards, most of them in the form of grants. The state has been awarded $1,389,862,617 and has received $413,752,785. The Clark County School District has been the largest recipient of the funds, followed by NV Energy and the Nevada Department of Transportation. The Departments of Education, Energy and Transportation have provided most of the funding to Nevada. A total of 3,149 jobs have been either "created or saved" from October 1st to December 31st of last year.